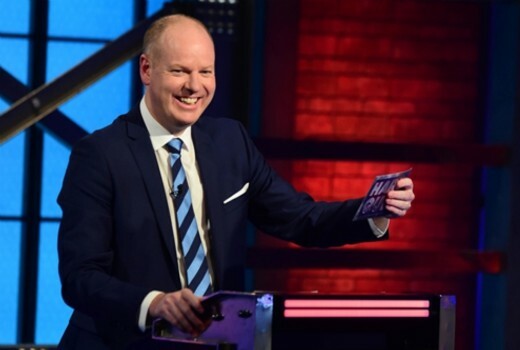 Hard Quiz continues to score in the ratings, now winning its timeslot and according to producer Charlie Pickering, there is a long conga line of people wanting to face off with host Tom Gleeson. “The ratings for Hard Quiz are -I will say entirely deserved- but are great,” he told TV Tonight. Pickering also credits Gogglebox families for a free plug. “Gogglebox have been good to us doing The Weekly and Hard Quiz this year. At times it feels like a 5 minute ad for your show on another network. I couldn’t thank them enough!,” he continued. “Hard Quiz makes so much sense when you watch it. But you have to see it, to get it. If you pitched a quiz show where the host is mean to everybody who goes on it, they might think it is The Weakest Link. But it couldn’t be more different. “We built the show around Tom. The style of the show is about him, but it is a reminder that everyone is an expert in something, which is a great thing to play with. “The passion of the people who come on… we have thousands of people on the waiting list. Their passion is incredibly and they’re playing for a mug! There’s no car, no holiday. Hard Quiz airs 8pm Wednesdays on ABC.